After initially operating as a fruit-tree nursery (with a small number of ‘hobby’ fruit trees) there has been a transition to full orchard operation. The final stage of this transition was the establishment of their packing shed in 2002. Fruit picking is delayed until fruit approaches full ripeness, increasing sugar levels, and enhancing flavour. This strategy is applied to all fruit – Apricots, cherries, peaches, nectarines, plums and figs, as well as table grapes. 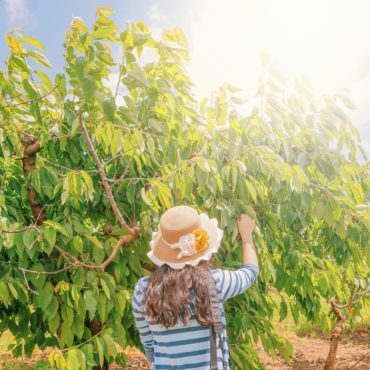 Situated near Young, on the South West Slopes of New South Wales, Willayoung Orchard is in the heart of this renowned cherry-growing district. No pick your own, Just fruit sales.